Below are just some of the Kids Shoes, Squeaky Shoes & Baby Shoes available from Suppliers. Product range includes;– Girls Squeaky Shoes, Boys Squeaky Shoes, Mary Jane’s, Sandals, Sneakers, Boots, Soft Baby Shoes & Much More. Choose from many different types of Kids & Baby Shoes all shipped directly to your customer! Dropship Kids Shoes and pay nothing until your customers pay you. No outlay for any stock! 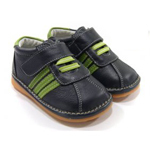 Or choose Wholesale Kids Shoes & Wholesale Kids Squeaky Shoes Suppliers and keep all of your own Stock.